Sometimes an answer seems too easy. How can Prime Numbers and the Pythagorean Theorem be the missing truth we have all been looking for? A lot of work will need to be done for this to be regarded as true, but here’s an explanation of why we should do that work. At the end of a decade’s thought, the solution to how two infinite points can resonate relies on treating them both as prime numbers whose midpoint can be deduced as the result of the Pythagorean Theorem. Of course we are not looking for the hypotnuese of a triangle, we simply want to know how two values can have a common denominator between them. In this case it is not necessary to have a real number, only a way to understand how two infinite points derived from assumptions about the Void can interact, or resonate. How these points came to be in this situation is another story, suffice to say they exist and are in relationship, sharing a matching value, which in this case is “1”+ to equal a Prime number. So why does the Pythagorean Theorem work for this? Well of course this is not geometry so it is probabley wront to call it the Pythagorean Theorum, for this we can better call it the Pythagorean Tone. You see it is the midpoint harmonic of two spheres in resonance, each sphere is the product of a reduction algorithm which has entirely subdivided the space around a central point to account for it all within 1/1048512, which is the diameter of the last central sphere, and the cycle begins again using that value as “1”. More than that the starting value of the reduction algorithm was probably more than that many iterations since it began. We are not going to address this issue here. The main thing with this is to describe the idea that there is way to reconcile the interaction of two infinite points by squaring two prime numbers and finding their square root to act as the midpoint value of them. 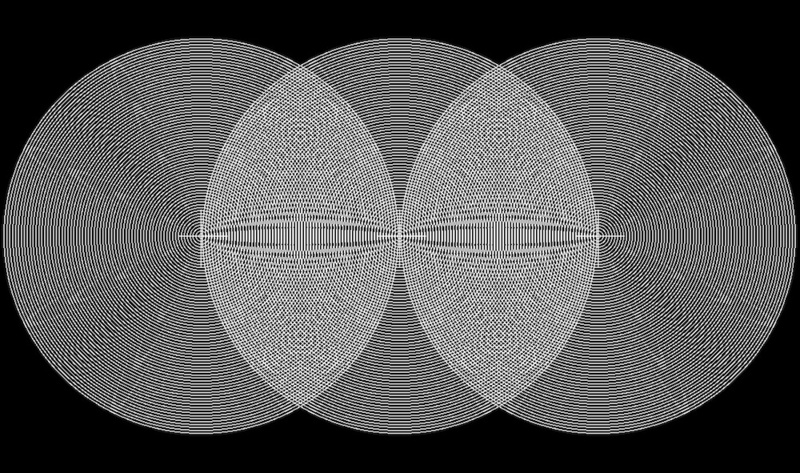 Was Pythagoras telling us about the Music of the Spheres?